Children’s works closely with the school health community throughout the state to provide them with educational materials, training and support. Eighteen percent of children in the United States have a chronic medical condition. A well-trained school health professional can help these children manage their health and stay in school. Children’s Healthcare of Atlanta works closely with school health personnel throughout the state to provide them with educational materials, training and support. Children’s school health consultants serve as a resource for school health services in Georgia. In order for Children’s to release or obtain medical information about a particular student, please complete the medical release form and send to schoolhealth@choa.org along with a brief synopsis of your request. Please remember to email patient information encrypted, or by way of fax, to ensure patient confidentiality. If you think a child in your care has flu symptoms and are wondering whether you should seek medical assistance, it is always best to contact the child’s parent or guardian and pediatrician. Check out our back to school tools and resources to help you prepare and welcome students back from summer break. PLEASE NOTE: The manual is currently undergoing a revision. The 2019 edition is expected to be released in the first quarter of 2019. PLEASE NOTE: The Common Infectious Illness Poster is currently under revision. The new version will be posted in the coming months. If you have questions please contact Gail Smith at 404-785-7202. Use the links below to find information specific to each condition or service. Created with a patient, parent and doctor, an action plan can be an essential reference for a child’s school, day care center, babysitter, coach, grandparent and anyone else that helps take care of the child. At Children's, our goal is to provide educational webinars to help prepare and educate school health professionals on clinical applications in the school setting. Browse our library of educational videos specific to each condition or service. Register to view videos by clicking the link below. Children’s Healthcare of Atlanta is an approved provider of continuing nursing education by the Alabama State Nurses Association, an accredited approver by the American Nurses Credentialing Center’s Commission on Accreditation. This training will provide information for those who care for children with a tracheostomy tube in the school setting. This training contains general guidelines which reflect current best practices for care of the child with a G-tube. You will learn: how to care for the skin around the tube, how to give feedings and medicines using the G-tube, what to do for certain problems with the G-tube, how to take care of the equipment, when to call the child’s clinical provider and more. This training contains general guidelines which reflect current best practices for care of the child with asthma. No credit hours are currently awarded for this webinar. It is undergoing a two year review. Emily Rubin, Director of the Educational Outreach Program at Marcus Autism Center will help viewers understand autism through the lens of current social neuroscience and the practical implications for the classroom setting. This series addresses behavioral health issues that are prevalent in schools such as suicide, eating disorders and anxiety. On behalf of the Diabetes Education Team at Children’s Healthcare of Atlanta, it is our pleasure to provide this Diabetes Train the Trainer series to you. This video series will outline diabetes technology in the school setting, diabetes care tasks at school and basic diabetes management in the early care and learning setting. In this series, we will review the school nurse’s roll in insulin pump management is as it pertains to dosing insulin, treatment of high and low blood sugar and pump site changes. We will also discuss the most popular types of insulin pumps and their functionality as well as continuous glucose monitors and their management in the school setting. Everyone who takes care of a child with diabetes needs to know the basics of managing it, and this webinar shows them how. The class covers topics such as the basics of diabetes, including type 1 and type 2 diabetes, signs and symptoms of hyperglycemia and hypoglycemia, and how to treat hyperglycemia and hypoglycemia. This training contains general guidelines which reflect current best practices. You will learn: Epilepsy Overview, Seizure Phases and Classifications, Epilepsy Diagnosis and Treatment and Seizure First Aid and more. This training contains general guidelines which reflect current best practices for preventing infection. You will learn about disease transmission, hand hygiene, environmental cleaning, standard precautions, personal protective equipment and blood borne pathogens. This free training would be beneficial to anyone caring for young children in the childcare and other community-based settings. This series provides information on how to recognize a sudden cardiac arrest, identify the need for a First Responder Team, implement an Emergency Action Plan and follow the Chain of Survival. Proper CPR/AED use will be explained and an overview of life threatening and non-life threatening emergencies will be provided. This series provides information on current rehabilitation therapies as they relate to voice therapy, teen driver readiness and pediatric vestibular rehab. Jill Reyes, Clinical Manager of the Sports Medicine Program at Children's Healthcare of Atlanta, provides updates on weather safety, common pediatric and adolescent injuries and traumas. Learn what to expect during a scoliosis screening: Scoli What? The clinic supports teens by talking about their health with them and their parents or guardians. Because teens may be embarrassed to have an exam or talk about some things in front of their parents, we give all teens a chance to be seen privately. The Aerodigestive Center focuses on the care of diseases that involve disorders of the respiratory and digestive systems, including the mouth, throat, lungs and esophagus. The Children’s Asthma Management Education Program trains school nurses, school staff and healthcare professionals about asthma management. Topics include how to control asthma triggers and how to help children safely participate in school and physical activities. Case Managers collaborate with school nurses to facilitate school re-entry following hospitalization. Our community development officers collaborate with community leaders and support Children’s services and mission with local outreach activities. Children's offers comprehensive care and follow up, as well as information and resources, including co-branded consumer handouts for students and parents. For information, call 404-785-KIDS (5437) and ask for the concussion nurse. Provides community diabetes education in the metro Atlanta area. The New Onset Seizure Clinic is for children who have experienced one or more seizures. Our team includes neurologists, a nurse practitioner, a social worker, nurses, and administrative personnel. We offer comprehensive care and follow up. We provide information and resources for families, schools, and community programs. Marcus Autism Center is a not-for-profit organization and subsidiary of Children's Healthcare of Atlanta that treats more than 5,500 children with autism and related disorders a year. We facilitate school-wide training opportunities on topics such as Fostering Social Emotional Engagement in the Classroom and Creating Universal Access for All Students. Our professional development for related service providers focuses on Assessing Social Emotional Development in Students with Autism and Related Social Learning Differences. To obtain needed information about a student that has been hospitalized or is currently hospitalized in one of our hospitals, a release of information (ROI) consent form is required. You will need to obtain a parent’s signature and either fax it to 404-785-7478 or email Gail Smith. When sending a fax, please accompany with an email notification. Please note: to ensure HIPAA compliance, emails sent and received with identifying information must be sent encrypted. Project S.A.V.E. was created to educate school systems and doctors about pediatric sudden cardiac arrest. We hope to raise awareness about the frequency of sudden cardiac arrest, possible early warning signs and the need for a timely response. Georgia schools can also apply for training grants to assist with the training portion of program implementation. HeartSafe schools contribute to important statewide and national research on prevention of sudden cardiac death by sending a confidential incident report to Project S.A.V.E. staff whenever an AED is used. Project S.A.V.E will replace, or reimburse the replacement of, electrode pads for the AED after use in an emergency. 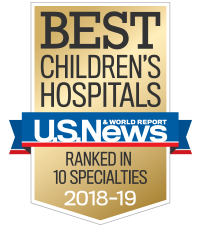 All consultation and recognition is free, thanks to the generous support of the Children's Miracle Network and Sibley Heart Center Cardiology. Learn more about Project S.A.V.E. Clinical Program Manager of Project S.A.V.E. Our hospital teachers can help you work with your child's school so that your child does not fall behind while admitted to one of our hospitals. Our Scoliosis Screening Program partners with public health, primary care physicians, and school health professionals to detect early signs of scoliosis. You can refer students with a positive screening through our program. We coordinate referrals to an orthopedic physician at one of our 14 Children’s Physician Group – Orthopaedics and Sports Medicine locations for a complete evaluation and X-ray. We share the results and treatment recommendations with the family and their primary care physician. To refer a patient, have parents call 404-785-7553. We offer a scoliosis screening instruction manual for school nurses and public health nurses. Download the individual resources below, or download the full scoliosis screening manual. We offer annual conferences on scoliosis for healthcare professionals. It focuses on screening techniques, research and treatment methods. Our surgeons, doctors, physical therapists and certified athletic trainers are dedicated to helping young athletes recover from sports injuries. The Stephanie V. Blank Center for Safe and Healthy Children at Children’s Healthcare of Atlanta provides trainings to school nurses, school staff and healthcare professionals about child abuse. Topics include child sexual and physical abuse, sexual exploitation of children, and social media safety. Onsite presentations: We provide live presentations by request on topics such as mandated reporting, social media safety, sexual abuse prevention, and other related topics. Stewards of Children: Stewards of Children demonstrates how to prevent, recognize and react responsibly to child sexual abuse and teaches five proactive steps to protecting children. Stewards of Children is a national child sexual abuse prevention training program for all adults who want to make a difference in their community. Monthly webinar series: Guest speakers and experts in the field speak on child abuse related topics in an interactive, online environment and allows the audience to conveniently participate from any location. All webinars are free of charge and offer continuing education credits. Motivating kids to embrace healthy habits isn’t always easy, but school health professionals have a unique opportunity to reach thousands of students and families across Georgia. Strong4Life empowers nurses with information, techniques and counseling skills that will help inspire and support kids to make smart food choices in the lunch line and to be more active. The Children's Regional School Nurse Coordinator collaborates with organizations throughout the state of Georgia to provide comprehensive resources and training to school nurses​. Submit a question to the school nurse consultant.